Today's outfit features a new in the kloset piece courtesy of Shein in the form of the shirt dress featured in this post. 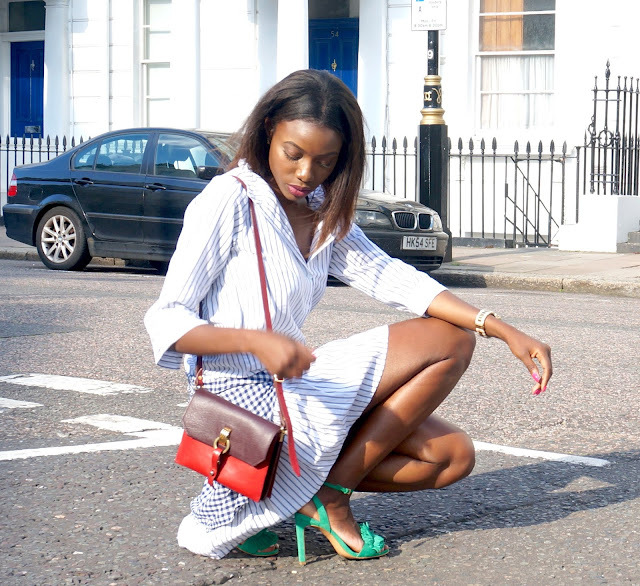 When it comes to prints, I'm a big fan of stripes and gingham. I find them to be versatile prints that can be paired with pretty much any pattern or texture out there. When putting together this look, I felt as though the striped shirt dress on it's own was a bit too plain looking so I decided to wrap the gingham shirt around my hips to add a slight edge to the look. 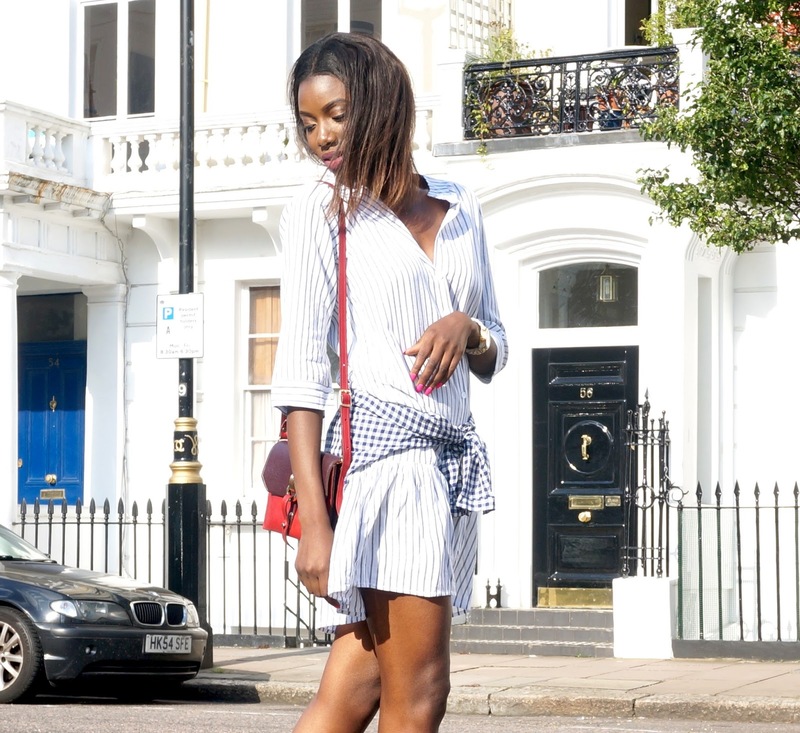 Much like previous Shein pieces, the fabric of the shirt dress is pretty lightweight and ideal for the summer heat. I went for a size S which was loosely fitted on my frame and unlike some pieces that I have received from Shein, I felt as though this dress didn't come up too short on my 5,7" frame. 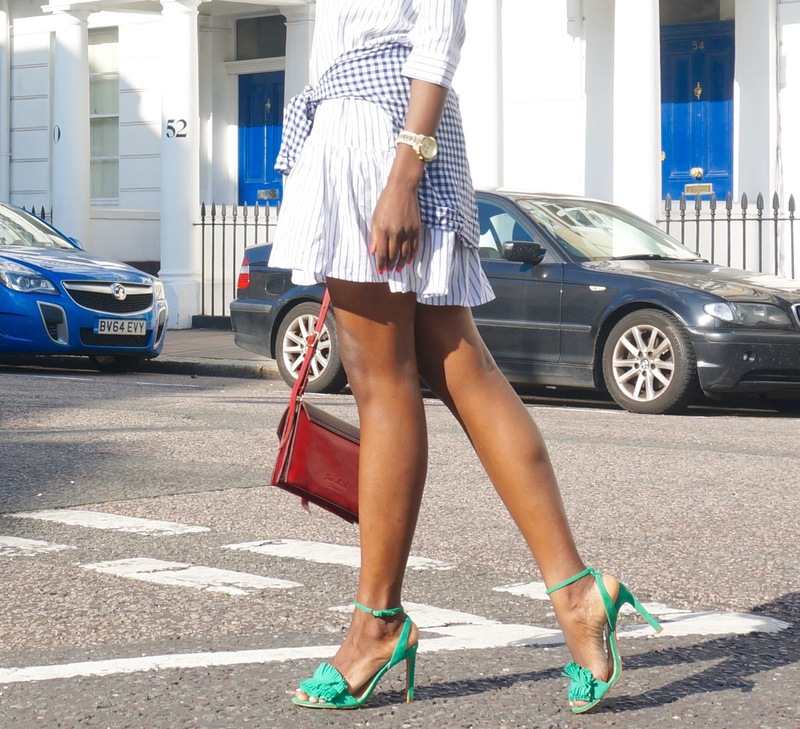 You could complete the look with a pair of converses or keds for an uber cool look but being the high heel lover that I am, I opted for my Banana Republic fringe sandals. Which for me were a great choice to add a pop of colour to my outfit and to also add some height to my frame. As per usual, I am rocking my favourite Jas MB leather bag, my go to bag for day trips out in London.